I couldn't get my STM32 microcontroller's I2C module to work with the OV7670's SCCB interface, so I implemented a bit bang version of the SCCB specification. This implementation is my peripheral library libstm32pp. By default, the OV7670 uses the VGA format, if you want to do image processing on a microcontroller with the OV7670 output, this may be way too much data, and you might want the QCIF format instead. To change the format we need to modify the following registers. 1: Swap the data MSB and LSB. Example, say we want to use the QCIF format, we'll need to enable the scaling, and select the QCIF format. I'll add more possible configurations as I explore other features. I have tested my OV7670 module, with a STM32F4 microcontroller. This microcontroller comes with a Digital CaMera Interface (DCMI) and a Direct Memory Access (DMA) controller, these two can capture the frames without the intervention of the processor. I used an XCLK of 8 MHz, but configured the OV7670 to output a PCLK of 24 MHz, this means I was capturing 30 fps. I used the QCIF format, however I was receiving 174 x 144 pixels instead of 176 x 144. Color format was the default YCbCr422. One of every six frames was sent to a PC using a UART communication at 3 Mbps. On the PC side, I received the frames using a modded version of qSerialTerm, only the Y channel (gray scale version) of the incoming frames was used. The result is shown in the following image. A ninja star servo horn captured by the OV7670 camera module. 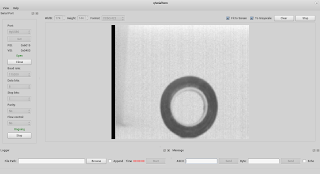 Now you can use qSerialTerm to visualize images streamed through the Serial Port. Check this post for more info. Make sure the SCCB is working properly, the OV7670 will answer with an ACK, after it has been address properly. The 7 bit SCCB/I2C address is 0x21, this translates to 0x42 for write address and 0x43 for read address. For debugging purposes, try reading some registers and check that they contain their default values. e.g. reading the 0x01 register should return 0x80. Always read a register first, modify the desired bits and then write it back to the OV7670. Check wiring, pin configuration and clock configuration. Start only grabbing a snapshot (only one frame), this is from VSYNC falling edge to VSYNC rising edge. Repeat this procedure multiple times, and make sure the number of bytes per snapshot, is constant. Cover the camera lens, and verify that the snapshot have the following information (in bytes): 128 0 128 0 128 0 128 0 ... i.e. every even byte should be 128 and every odd byte should be 0. This correspond to a pitch black image. If the two previous experiments fail, your uC might be too slow to grab the OV7670 stream, either increase its clock speed or get a faster uC. If you are using a DMA controller, then give it high priority, clock it as fast as possible and/or dedicate it to this task. If you are visualizing the grabbed snapshot in a PC, for starters only use the luminance (Y) channel, i.e. only use the even bytes of the snapshot. 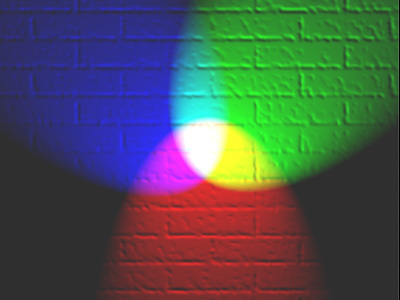 On the PC, assign R = G = B = Y for each pixel. At this point, all the electrical/software part should be working. The only remaining issue is the camera focus (distance from the camera lens to the image sensor), you will have to vary the camera focus by trial and error until you get a clear image. UPDATE: Check this post about 3 demos that involve the STM32F4, the OV7670 and qSerialTerm. Full code available. hi.. I used Stm32f4 and Ov7670 without FIFO same as you. However I cannot get a clear image like you. the output of the image is 177 x 148 for QCIF. 1. Could you show me some configurations that you initialize the camera thru SCCB (i2c)? 2. I dont understand this part when you config the clock. "have a 16 MHz input clock and we want a 24 MHz PCLK"
sencond you multiply by 6 so.. it should be 8x6 = 48 isn' it? I added a troubleshooting section, I hope you'll find it useful. @Question 1: I added pseudocode in the SCCB section. That's the configuration I'm using. @Question 2: Sorry, my mistake, that configuration is for a 8 MHz input clock. The post has been corrected. Please if it,s possible can you send me your modded version of qSerialTerm??? Right now I'm working to integrate the data plotter and the image viewer features in the main repository of qSerialTerm. Everything should be ready by next week. Could you let me know how you can set registers for qcif? I'm glad you've found this information useful. I've used the configuration shown in the pseudocodes (SCCB section). I'll recommend checking the Troubleshooting section of this post. In particular, you should check that you are receiving correct data using the default configuration. Then, test that your SCCB interface is working, you should be able to read the OV7670 registers and see their default values. And only if all of the above works, then you should try other configurations. If you still have specific problems, post them here. for me I finally made it work! could you show me your output? so I can figure out your problem. it need setting vstart vstop hstop hstart! I am also trying to interface OV7670 to STM32f4. Did you have to set any other registers, other than ones you mention in the blog post? I am having difficulty in capturing image, I am not seeing the 00 80 00 80 pattern. Is not necessary to set any register via the SCCB to get the data capture interface working. Be sure to connect the clock output (MCO1/MCO2) of the F4 to the OV7670 XCLK pin. Check the configuration of the MCO pin (I used 16 MHz output derived from the HSI) and the DCMI peripheral. Be sure to check the Troubleshooting section of this post. I was able to get a image, but only displayed Black & white by using just the Y value. I am not yet getting a good color picture. Were you able to get a good color picture with default register settings and the conversion from YUV to RGB formula that you posted? I did get a proper color image using the default register configuration. I was getting a distorted image when I used 8 MHz on XCLK, so I used 16 MHz instead. When doing the YCbCr -> RGB conversion, be sure to use floats/double when carrying out the operations and then limit the obtained R, G, B values between 0 and 255. You might want to use qSerialTerm to visualize the images if you are streaming the image via UART. I'll post a F4 + OV7670 demo soon. Stay tuned. "When doing the YCbCr -> RGB conversion, be sure to use floats/double..."
Dang not sure how I missed that one. I was using integer. Even with that change I did not get good color image. I had to use register settings I got from Linux driver to get a good image. Not sure why. About qSerialTerm, it is a quite useful program. The only reason I have not used is that I would have to compile the program myself. That means I have to setup the whole QT environment. Untill now all my time was used up in debugging the camera. Also what is protocol and data format to display a image in qSerialTerm? I'm getting a "correct" color image using the above conversion equations, in the sense that the image doesn't get distorted. But the colors are no good, because instead of green I see magenta and so on. I have tested the conversion equations against Octave's rgb2ycbcr function, and it works fine. Maybe the OV7670 follows another conversion standard?. I have also tried switching Cb <-> Cr without any noticeable change in the color output. I have seen those OV7670 linux drivers, are you using any of the SCCB configurations available there? qSerialTerm accepts uncompressed binary images in Monochrome, RGB888 or YCbCr422 formats. This means, you only need to stream the data collected from the DCMI module into the UART module. I've already finished the demo and updated qSerialTerm. I'll post the results as soon as I find an adequate screencasting software. Yes for me also with default settings, I am getting wrong colors, instead of red, I got greyish-green. But finally managed to get a good color image. I had to play around with the registers a lot and got some register settings from Chinese supplier. If you need the register settings that finally worked for me let me know. I am currently working on real time image processing using FPGA. For that i am using OV7670 camera module. I have got real time video but with wrong colors(mostly magneta color). Can you please mail me the correct color settings? if I want to use an external clock, do I have to connect the oscillator between XCLK and ground directly or do I need to add a capacitor in series (XCLK - oscillator - cap - GDN)? If yes, which value for the capacitor? I have a ceramic resonator @ 16Mhz (http://it.rs-online.com/web/p/risonatori-ceramici/5266154/), but it has 3 pins instead of two. Searching on google I've seen the the the central pin must be connected to the ground, but I'm stuck with the others two. You can't use a ceramic resonator with the OV7670. Ceramic resonator require an active oscillator circuit. These active oscillators are usually integrated inside microcontrollers, and you have access to it via two pins usually labelled OSC_IN and OSC_OUT. The OV7670 does NOT have an internal active oscillator. You need to feed a clean periodic (usually square) signal to the XCLK pin. + Connect a crystal/resonator to the OSC pins of your microcontroller. + Connect the OSC_OUT of your microcontroller to the XCLK pin of the OV7670. + Obviously the microcontroller and the OV7670 already share the same ground level. The integrated active oscillator of your microcontroller will output a periodic signal on its OSC_OUT pin as part of the feedback loop. Connecting the XCLK with the OSC_OUT will add more capacitance load and it might distort the periodic signal. The OSC_OUT pin won't have enough current drive and no clock will be produced. This implies that neither your microcontroller nor the OV7670 will work. P.S. I'm curious, what microcontroller are you interfacing the OV7670 to? I'm using BeagleBone with QNX. But BeagleBone seems not provide an external clock. If I use an external oscillator (crystal) do I have connect one pin to the XCLK and one to the ground without capacitors? Thank in advance for your kind reply. I've just found a pin with an external clock on BeagleBone... :) (my fault!) In this case I suppose I have to connect the pin directly to the XCLK (sharing the same GND). Right? Yes, yhat should work. You'll need to configure the actual output frequency to something around 8-24 MHz for proper operation. The STM32 F2/F4 microcontrollers have a DCMI peripheral that simplifies the data reception from the camera. I don't know if the BeagleBone have something similar. What do you mean with "the image is not so good"? Are you getting a clear image with the wrong colors or are you getting random pixels? Does the grayscale (only the Y channel) image looks clear? AFAIK in YUV422 mode, getting the right colors with the OV7670 requires some heavy calibration, as stated by brijesh in his/her comment; but the grayscale version should look clear like the image I posted. You can send me your files to jorge.aparicio.r at gmail dot com. Hi Jorge, nice page you have here, seems you have been studying quite a fair bit on OV7670. I am also working on something similar but using AVR uC instead (Atmega16/32) with OV7670 FIFO version and works pretty well. I am using YUV mode and using the YUV422 equations give me a pretty good looking image, a bit soft but not bad (http://thinksmallthings.wordpress.com/2012/11/03/ov7670-yuv-demystified/). FYI, i am using Processing to capture and display the images, allows me to write my code and play with the output pretty easy. Again, great tutorial on OV7670! Hi, that post was very useful and helped me understand how this sensor works, but i can't make it to work. I haven't used the OV7670 FIFO version and I used the STM32F4 which has a Digital Camera Interface (DCMI) that the STM32F1 doesn't have. That's the reason my code won't really help. Make sure you are supplying a correct clock (12-24 MHz) to the OV7670 XCLK pin. The SCCB works WITHOUT the XCLK, so a working SCCB doesn't guarantee a working parallel interface (D0-D7). For maximum throughput you should use the FSMC peripheral, but you should "debug" your hardware first by using GPIO (D0-D7) and polling (HREF, PCLK). I've just tried to get SCCB working on my OV7670 (like yours: no FIFO) and it looks like it doesn't work at all until I connect clock source to XCLK pin. After successful test implementation (got 0x80 from 0x01 register etc) i tried to disconnect XCLK signal and it simply stopped working. So it seems to me that XCLK is necessary for SCCB operation. I noticed that you use 3.3V, or atleast that you use this voltage in your blog. The data sheet for OV7670 says 3.0V max for DOVDD (1.7 to 3.0). In the module I use, (ov7970 without fifo) the DVDD pad (core voltage) is simply filtered to ground via capacitor thus ov7670 will generate 1.8 from DOVDD. This requires the DOVDD to range from 2.45V to 3V. The analog power supply, AVDD, must range from 2.45 to 3.0V. and in my device is AVDD and DOVDD connected together with a simple noise filter. The (blue) model I used in this post has internal LDO regulators. You must have the (black?) model that is wired directly. I have also used the latter with a 3.3V supply and a series Schottky diode. I've added a notice in the Hardware section to avoid confusion. And the SCCB cheat sheet you talk about where I can find it? You need to drive the XCLK pin with a clock signal to make the OV7670 parallel interface (D0-D7) work to get any image data out of it. Also a user reported here that driving the XCLK pin is also necessary to get the SCCB interface working. The SCCB "cheat sheet" only has two cheats: (1) up/down scaling the fps and (2) up/down scaling the image resolution. Wow, Jorge, it looks like your post has struck a chord with a number of users! If I may throw another question into the fray, I am thinking about using a microprocessor (thinking mbed, but not sure yet) to sample from multiple OV7670s. I don't need to capture every frame from every camera, just be able to grab a picture from camera 1, then from 2, etc. at whatever rate the processor can manage. Any thoughts on how one might do this with some sort of bus, or would this require a separate processor for each camera? tl;dr I'll go with one uC per camera, it increases throughput. (1) Hooking multiple OV7670s to the same uC will require a digital circuit to act as a multiplexer and will increase the capacitive load of the logic lines (XCLK, D0-D7), which can degrade or totally corrupt the data. (2) You are dealing with high speed parallel interfaces, and they don't get pretty far. This will limit how far you can place the cameras. (3) The OV7670 outputs raw data, that means each frame of 640x480 color pixels equals a minimum of 600 KiB (YUV422 format). This implies you can't keep one frame in the uC RAM memory (usually less than 200 KiB), so you'll need to stream the frame to a bigger memory as soon as possible. (1) Each uC grabs a frame, compresses it using JPEG and stores it to its own SD card. (2) Similar to (1), but the compressed frame is sent via ethernet to a central storage server (some PC). (3) Similar to (2), but the central server does some useful processing and alternatively issues commands to the uCs. (1) You can take one frame from all the cameras almost at same time. (2) Each uC will capture frames as fast as possible. (3) You can place the camera as far as you wish and as far as the network media allows it. I've just configured the C code for OV7670 but with error. So, may anyone give some help. Can u make it open source, that would be great for many beginners! I have only the following parts which are OV7670 and Arduino uno board. I wrote my code and I have to cheange the clock function code to either read or write in the registers of the camera"OV7670". But, I can't get any response from the camera. Thank you again and I'm looking for your help. A user reported that is necessary to supply a clock signal to the XCLK pin to get the SCCB working. Make sure you are correctly driving the XCLK pin. Sou um iniciante em linux, e tou querendo usar a mesma camera que usaste com uma NGW100. Se pudesses dar-me umas dicas básicas com algum pseudo codigo seria formidavel. You got me there. I don't have experience with Linux when it comes to accessing peripherals, for this post I used a microcontroller without OS. AFAIK, Linux is more restrictive on specific memory/register access. My wild guess, is that you'll need to create a C/C++ project and link/add the necessary Linux drivers (either a parallel interface or the image sensor interface + network interfaces). After that, pretty much everything is specific to your NGW100 board. There seems to be a lot of documentation for that board, you'll have more luck there. Can anyone program the SCCB interface..to change the zoom feature of a OV2720? "**: On some models the VDD is directly connected to the OV7670 sensor AVDD and DOVDD, in this case VDD should be below 3.0V. With this model I have used a 3.3V supply with a series Schottky diode without problems. **: There are other models (like the blue one I used in this post) which contain LDO regulators between the VDD and the OV7670 sensor AVDD and DOVDD. I'm not sure how much input voltage these regulators can stand, but I have used 3.3V directly without problems." How can I know if my module has this LDO regulators? Could you please have a look and tell me which kind of supply I need to provide to this camera? And maybe also where are LDO regulators placed (if there are...)? I updated the I/O and supply voltage part of this post. I hope it's clearer now. pls contact me whoever can do it. I don't think you can interface this version of the OV7670 module with a 8 bit uC, because the data is streamed at very high speeds and your uC RAM is way too small. You might have more luck with the FIFO version (I don't have experience with that version). But then again, a 8 bit uC has very little RAM so you would be able to process a very scaled down (in resolution) image. If you are using the uC as a buffer to a higher speed interface, then the lack of DMA and processing power will make the uC a bottleneck. The trick is to set the divider value to something slow. Also the 10mhz lower clock limit is false. It will go much slower just set the register 0x11 to whatever is slow enough for you. Hi Jorge, i'm working with the OV7670 module on an altera FPGA Board and i'm encountering some problems wich i cannot solve. The YCbCr422 encoding is the default format used by the camera module right? If so what are the exact data position/order that the camera is using on it's D0-7 pin? When you explain how the data is stored for the YCbCr format you make a block scheme. What those blocks represents? Are they Bytes? If so one block would be the information present on D0-7 pins at a certain pclk edge? Yes, the YCbCr422 encoding is the default format used by the camera. I updated my diagrams, I believe it's clearer now. Thanks a lot, now it's clearer and for some reason there is no reference about this into the datasheet. "A PCLK of 24 MHz will produce 30 fps, a PCLK of 12 MHz will produce 15 fps and so on. All this is independent of the format of the image (VGA, CIF, QCIF, etc)." Yes, it's indipendent of the image format, but should be highly dipendent of the kind of pixel format... Am I right? I mean, in my purpose I just need to sample the Y component and I can sample it only on the 2nd (and 4th and so on...) rising edge of a 24Mhz PCLK: so pratically I'm working with a 12Mhz pixel clock! In order to have 30fps and assuming that I'm using the default parameters, I need to feed the XCLK of the camera with a 48Mhz clock... Is my idea right? Take a look at the Figure 6 of the datasheet. Say XCLK is 24 MHz, and using the default SCCB configuration PCLK would be 24 Mhz. From the figure, t_plck is the period of PCLK and t_p = 2 * t_pclk. t_p is two clock cycles of PCLK, i.e. the necessary time to grab a pixel (on the formats of the OV7670, on average each pixel is equivalent to 2 bytes). For VGA, you have 480 lines of 640 pixels. Each line lasts t_l = 784 * t_p, with HREF active only for 640 * t_p. Next, each frame lasts t_f = 510 * t_l, but you only get lines during 480 * t_l. If you do the math: t_f = 510 * 784 * 2 / 24MHz = ~33.3 ms, equivalent to 30 fps. I've only worked with YCbCr422, but for other formats like RGB565, the t_p = 2 * t_pclk should hold. For other image sizes t_f and t_l also hold, is the active part of HREF what gets shorter and the the numbers of transmitted lines also gets reduced. In conclusion, XCLK should be 24 MHz and you should read the D0-D7 pins only on every even (2, 4, ...) rising edge. You'll end up with 30 fps, but each pixel will be 1 byte (Y component) long. can we intrface ov7670 with pic16 and wnted to know about the rgb output format of ov7670 ?how will the camera capture the image ?will we require a video sync separator? I have answered a similar question above in other comment. Please check that comment as well. 1) Can you interface the OV7670 with a PIC16? I don't think is doable with this version of the OV7670 camera. You might want to check the FIFO version. 2) I haven't worked with the RGB format, but you will be limited to 5 bit Red, 6 bit Green and 5 Blue or similar - i.e. 2 bytes per pixel. 3) If you want to know how the camera captures the image, read the datasheet. thnx jorge looking forward to ur help..Culd u then sugest us a microcontroller with ov7670, will pic32 work? I can't recommend the PIC32, because I haven't work with it. If that's not possible then a Parallel Interface *might* be adapted to capture the data from the OV7670. Finally, you might want to check my last post (the link is the end of this post) with 3 demos about using the STM32F4, the OV7670 and qSerialTerm, the source code is available. thanks, how can we downsize the image in OV7670 , if yes what will be the minimum possible size of array? I'm working with this Camera and with the STM32F4 and i manage to get values from the Camera but i'm having trouble making the serialTerm work. It complains about me not having the serialport.h library. I did like it says in the wiki, i got serialport first i installed the library it says there and i installed Qtcreator for ubuntu and then i just opened your serialTerm project and did "play" and i get that error. Can you help me? Thank you and great tutorial! Thumbs up! I just checked that the last commit to the qtserialport library introduced a compilation error, this is the reason why qSerialTerm can't find the library, it's because qtserialport didn't got build and didn't got installed. # Check if there are any errors! Please tell me if that works. I'll notify the maintainers of the qtserialport library about the compilation error. I'm using the same exact set up you have here for a school project and I can successfully communicate with the camera via I2C routines. The next step I'm trying to do is configure the DCMI to capture the image and store in an internal buffer to verify that the DCMI is collecting the data. My problem is I never get anything in the DCMI->DR register although the Vsync and Hsync are being triggered in the SR. I think I'm messing up in the configuration of the DCMI and DMA. Think you could help me out? You'll find the source code there, you might not be able to directly use the code (unless you use my libraries), but the code is very readable. If you read my code you'll see which configuration I've used for the DMA and the DCMI and understand the logic flow. If you still have questions, ask them in the comment section of the other post. I've read over the examples you provided there but I'm developing in .C not .cpp. I understand the translation over to C but maybe you could explain a few things. You mention that the Discovery board cannot be used because all of the DCMI pins cannot be accessed but I'm not certain that is the case. Also I assumed that the DCMI would also handle the complete capture of a frame such that it automatically determines when vsync and hsync occurs and clears the flags after capturing the data and transferring it through the dma ect. Is this true or do I need to create a routine that handles the actual capture when thos flags are set? Regarding the STM32F4DISCOVERY, the DCMI pins are available in the breakout headers, but those pins are also connected to other components inside the DISCOVERY, i.e. all of them are not "free" (see the table 5 of the DISCOVERY manual). That may or not be a problem. If you configure correctly both the DCMI and the DMA, the only thing that you need to do is: (1) start a capture on the DCMI (set the CAPTURE bit high) and (2) wait for the capture complete interrupt. After that, all the data will be in the memory region you selected for the DMA. Even so as long as the Vsync Hsync and Pclk are not interfere with other components on the board, some sort of data should be in the buffer. Even if the data is wrong that would be better than where I am. So I can assume since we are both using the same Vsync Hsync and Pclk pins that I have something configured incorrectly with either my DCMI and or my DMA since nothing is being stored in my buffer. I won't rule out a hardware problem as those signaling pins are connected to components on the DISCOVERY board. I am not receiving anything in the RIS register at all. the only registers that change are the config registers during init. the Sr register sets the vsync and hsync after dcmi_cmd() and only the capture bit gets set when the dcmi_capturecmd() is called. So basically the stm is not recognizing the hsync and vsync signals coming in it seems... Does this sound like it could be a hardware problem. that those components are effecting the way PA4 PA6 and PB7 are supposed to be working? + Leave the XCLK running, and poll the HSYNC, VSYNC and PCLK pins using the GPIO module, not the DCMI module. This would rule out the possibility of a badly configured DCMI. + Leave the XCLK running, hook a logic analyzer or an oscilloscope to the HSYNC, VSYNC and PCLK pins, and by looking at the signals you'll know whether the other components on the board distort those signals or not. I have solved the problem. I had a typo in my GPIO configuration.... instead of defining PCLK on PA6 i defined it as PA5. So simple I don't know how i missed it. But now i'm able to capture the images fine. Thanks for your help! Austin, good to hear that it's working now. I'd really appreciate it, if you could send me details abo...ut the discovery board and the ov7670. Pin connection and dcmi configuration. I am fairly new to i2c and would like a quick start using the 0v7670 cam and the arduino uno. Would you happen to have code I can run to test the functionality of my cam. The simplest configuration of the cam would be nice. Perhaps being able to save to an sd card the image taken. Thanks a lot. 1) Sorry, I don't have arduino code, I don't even use 8 bit uC. 2) It's not I2C it's SCCB, there are minor differences. And you don't need SCCB to get frames from the camera, you need a parallel interface. The SCCB is for configuration, but the camera works well with the default configuration. 3) There is a link at the bottom of this post, that contains source code of 3 demos using the STM32F4 and the OV7670. That code won't work with your arduino but it will give you an idea of how to work with the camera. 4) If you have a question after YOU ACTUALLY TRY SOMETHING, then feel free to ask. I won't answer to more "do the work for me" requests. hello, the ov7676.rar file seem to be missing, can you put it online ? Sorry I don't have the file with me and I don't host the link I provided in this post. However you might find that file in the web, the sellers of the OV7670 usually put it along the description of the module in their websites. - The module needs the XCLK even if you do not use the picture data. Thanks for your comment Anon, I'm sure other people will find it useful. I also added a link to the code of my SCCB bit bang implementation in the SCCB section of this post. Hopefully it's readable. Thank your for this useful page. Hi. We are working with the OV7670 and also the OV7725 sensor. Found out the hard way that the OV7725 MUST have an external clock fed into the sensor. Our OV7670 is the version that features an onboard 24 Mhz clock source so it was not required. Can you confirm if your version of the module needs an external clock ? Is your I2C (SCCB) bus working ? We found that even the I2C bus NACKed without the external clock source. We fixed the issue by applying 25 Mhz into pin 8 for our OV7725 module (wayengineer.com, China). Soon we will work with the "raw" OV7670 (no FIFO) after we validate the version with FIFO in our design. I have an OV7670 on order and have a few questions. I'm using an Arduino Uno which has a 3.3V out, but not, I guess, at sufficient rating for the camera. Also, the camera has 3V IO pins while the Arduino uses 5V. Where do I get these lower voltages from? I have seen level shifters, is this what I need? Sorry about the simlest of questions, from the look of posts here this may be the least of hurdles in front of me. Hi Robert. Let me try to help..
a) Did you receive your OV7670 module ? Please post the details on your sensor as they most definitely vary from vendor to vendor. Is your module the "raw" sensor (without FIFO) or with FIFO and oscillator ? Hi Jorge. Many thanks for this great webpage. It has helped a lot to better understand the OV7670 (we have one with FIFO & 24 Mhz oscillator) we have sourced from one of the offshore vendors. The reason is that we are noting the values of 128 = 80 (hex) and 00 but not always in the above format. If we cover the module, the values will turn into 80(hex) and 00 but again in varying order. Perhaps we are not extracting the values properly from the AL422B FIFO ? We will map to a local LCD screen within a few days but wanted to confirm the BLACK color output. The results that are posted are without priming the sensor. Thanks again !! No that is correct the ov7670 outputs yuv422 by default. If you are sending it to an lcd you may want to set it to rgb565 mode but be aware that rgb565 mode is very bad quality. If your microcontroller is fast enough try converting from yuv422 to rgb565 in real-time that results in a much better image. we are getting distorted picture, we found is that some of the pixels are getting missed within each frame of total 640 frames (for vga mode 640x480) and hence we are neither able to get full picture size nor good colors of an image". 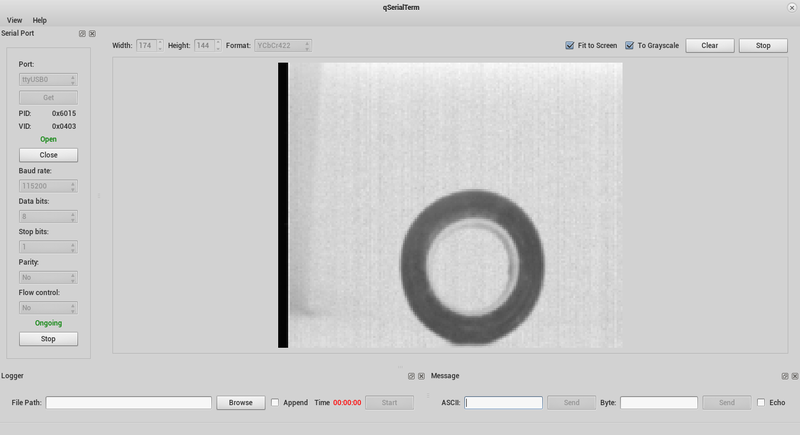 We are using OV5640 camera on I.MX233 (freescale) and OS is 2.6.35-8-ARCH+. We want to implement DMA to capture all pixels thrown out by DVP port of camera. How we can proceed with this. We are using GPIO's port to grab them. i want to acces the ov7670 with arduino,,anybody help me? I'm having an inordinate amount of difficulty getting my camera module to respond to my bit-banged SCCB, which is based directly off the code helpfully provided by the author of this blog post. Could someone please point me in the right direction? You'll see a start condition, setup to write to 42, sub address 0, an ACK (by the master...the slave has never once ACKed or NACKed). Then a stop condition, start condition, and phase two, which is setup a read at 43, then the clock line is pulsed 8 times, at which point the slave doesn't assert the data line. This process then repeats for subaddress 1, 2, etc. I'm also supplying a 12 MHz XCLK signal to the module. It would figure that after I finally make a post about this I figure it out, even though it's been like two weeks of work to get to this point! 2. Though I had enabled the clock out, I was attempting to communicate with SCCB *before* actually enabling it! Stupid. 3. I had a few places where I was inadvertently driving the Don't Care bits without setting my SIOD line to input mode, and I think that it could've been preventing the slave from asserting it when it wanted. a. Start condition, 8 bits for the bus address for write, 1 D/C bit, 8 bits for the register memory address, 1 D/C bit, Stop condition. Start condition, 8 bits for the bus address for read, then pulse the clock to read 8 bits and then 1 NACK/ACK bit (or maybe it's a D/C). Stop condition. 5. Another big issue was that the datasheet just says the write address is 42 and the read address is 43. What they neglect to make explicit is that it's 0x42 and 0x43, not 42d and 43d! Sheesh. Maybe it was clear to everyone else, but not to me. Could you please check my problem on the ST forum? Fresh fullz random world wide is here now. I need information on Pixel Clock. How much min pixel clock can give good image. If my controller is slow speed and I don't want more than 1FPS then can I lower the PCLK less than 1Mhz? I did not found any min PCLK requirement anywhere. I believe the PCLK frequency is determined by the XCLK and the scaling factor in the SCALING_PCLK_DIV register. The maximum scaling value is 16, so XCLK / 16 = PCLK_min. If you want any slower than that you'll have to lower XCLK, which has a minimum of 10 MHz. So 10 MHz/16 MHz = 625 kHz = PCLK_min. I haven't done that part yet, so I may be wrong. If you scale PCLK down with PCLK_SCALING_DIV, does that reduce the horizontal resolution? When I set it to be as slow as it can go, I get 480 HREFs interrupts (480 height) but 24 times less than the number of PCLK interrupts I need to cover every pixel (assuming 3 bytes per pixel, so it's actually less). So my resolution is something crazy, like 80 x 480. 1:- Can i connect this with ARM based board(beagle board or raspi)? 2:- If above is true then can u suggest how to do that? 3:- can we access on-board DSP of camera ? Thank you for your great forum here. I used it to get multiple things clear with my Deal Extreme ov7670 with fifo. I use the stm32F103 with a 2.4" TFT in rgb565 mode. I am past all trouble with sccb and I get good qqvga images on my TFT (I scaled to qqvga because the amount of data is less then). My "problem" is the colors look reasonable with daylight but when it gets darker its way off. I know its a cheap camera but maybe you found a way to deal with this? Hi Jorge, thank you for the really informative post on the OV7670. I was wondering if you have any experience with similar modules, but with a higher resolution? I'd like to experiment with something >3MP. any thing you want to buy like.. I've tried to change registers with internet found values but nothing change, the sensor may be faulty? hello I wanted to know if you think it is possible to use a different module than the OV7670. I wanted to have a much higher resolution type 12/14 Mpx but with 1 frame per minute. is such a thing possible, any suggestions or tutorials? Hey, i'm using the OV2640, which is quite similar. SCCB is working with a 20MHz resonator XCLK. Is the data coming out once it is powered ? Or do i need to "start" the module so it can send the data ? If it's like the OV7670, make sure PWDN and RESET are in proper states, supply 3V3 and GND, and pulse XCLK at a valid frequency. At that point you should start to see the OV7670 driving HREF, VSYNC, PCLK, and D0-D7. I'm not sure if it's necessary, but I think you're also supposed to pull-up SIOC and SIOD. 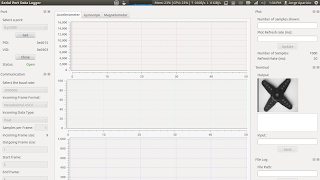 tell me input to XCLK should be sinusoidal or square wave. I provided a 24 MHz square wave clock to my XCLK and it worked well. I imagine it's a digital clock, not analog. Hi jorge, I am a last year student of Technical High School from Argentina, and I need to make a final project. I have a OV7670 camera without FIFO. In order to test it, before try to get an image, I wish to read valid pixel data and print them trough the serial port. I have connected output pins d0 to d7, href, vsync, to digital input pines of ARDUINO MEGA 2560 board, and the camera is powered by 3.3 V from ARDUINO board. For clock signals (XCLK) I use a 24.8 MHz external oscillator which is powered with 5 V from ARDUINO board. I have written a program to read data when vsync changes from low to high but I have get only zeroes. I need some help to control this camera, if you know any way to view images (don’t care the format, I’m not changing registers, I use the default configuration) only with arduino mega board and a PC it will be great, and useful to my project. Finally i made the OV7670+FIFO module work with STM32F103, it took me months and a lot of tests (trying different versions of OV7670 without FIFO i got just random data...), by now i can say that the registers are a real pain, and there are LOT of things that can get messed up just by modifying one bit of any register, and that there even are reserved registers that must be set to an adequate value, i don't know why but even the output sequence (first and second byte ) gets swapped by a register that is unknown. Here I publish the register values that worked to RGB565, QVGA (XCLK signal is given by a 25MHZ osc). Diego, thanks so much for pasting your registers. I, too, have spent months trying to work with this camera, and I've tried multiple OV7670s with and without FIFO buffers. I'm also trying to use RGB565 with QVGA, and your register values have gotten me closer than my previous attempts. I used your values from the #ifdef onwards, but also set a bit in 0x15 so that VSYNC will be inverted (so that WRST is automatically toggled). Are you sure those are all the registers I need? Do you know or other readers know what might be wrong with my setup? Hello Dan, sorry for the late response, i know that the registers are a real pain, im happy that mine brought you closer to get an image that actually works!. - Do NOT write more registers and more registers just to make things work, things dont fix up, they actually mess up, as an example i got the camera to work, but if i write some more registers it screw up again! - To view a test patern, "the COLOR BAR" you need to put the lens cap, and write the register: 0x71 (the 7th bit in 1). This helps you to get the color bar that should look exactly like this: http://blog-imgs-56.fc2.com/m/i/b/mibc/colorbar.png. - The registers that i provided should work if you feed the camera with an 24MHz clock signal, you can either provide it with a crystal, or with the MCO pin of your stm32f. - I seen your images, and it seems that you have clocking issues, check the registers that take efecton the PLL, PRESCALER, PCLK, 3E, 6B, etc. I'm having trouble with SCCB. Im using the Stellaris Launchpad for that with io of 3.3V. I tested the i2c code with an oscilloscope and it seems to be working fine. 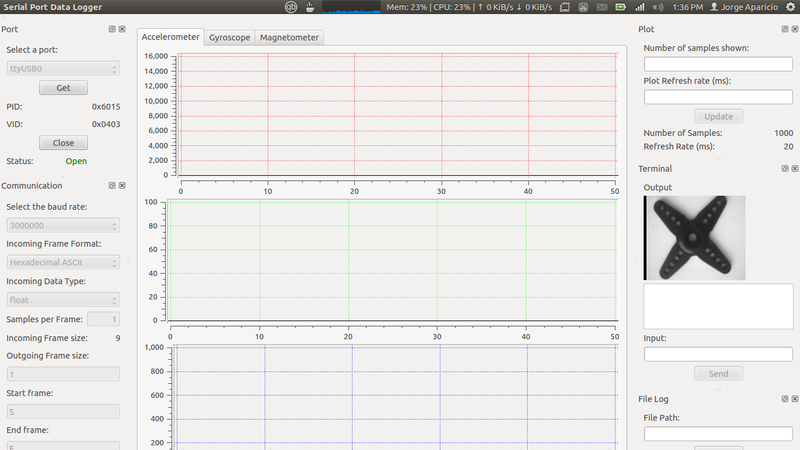 Im feeding the XCLK with a 50% DC PWM of 10Mhz and I'm getting PCLK and HREF. However, when I connect SDIOC to the i2c clock, the lines just stop working... everything is pulled up by the pull up resistor to the 3.3V. Anyone knows what could be the problem? Thanks. hi I 'm using launchpad msp430f5529lp with io of 3.3V. if you want I send my code, maybe will find an error ! Thanks for the replies, Xavier! I forgot to mention that I'm using the one with a FIFO buffer, so the RST and PWDN pins are already connected. However, I'll dump my registers and check the things you indicated. The FIFO version should feed it with 24 MHz. I use the reset registers feature (writing a 1 to some register and then a 0, to get it to reset to default values), but considering how sensitive this stupid camera is, maybe the default values are wrong? Hi, I'm Diego, Xavier is another name for my Google account.. I have both the FIFO version and the one without it. My FIFO have the RST and PWDN pins available, and they must be connected. I also use the reset register feature, is the first register i write..
"how sensitive this stupid camera is" .. hahaha. yes it is a crap..
One thing I found is that in the modern OV7670 the RST is active low, but in an older datasheet it's active high- so be careful- for modern OV7670 chips, RST should be high for normal operation (and PWDN should be low for normal operation). I'm using a ov7660 camera that is similar connected to a FPGA. My problem is that i get a lot of noise on the inputs. Using the internal chipscope of the FPGA I get spurious data on both Vsync and HREF. Has anyone else experienced a similarissue? but I just can't get anything... I can't get any signal from the camera when I have my SIOD configured in input, like if the camera was dead. Here the sequence is simple : Start, write 0x42, write 0x02, stop, start, write, 0x43, read SIOD, stop. But nothing appears. I connect directly SIOD and SIOC to the GPIO pins, I tried with 10k pull ups on both lines, but nothing happened too. RESET is to 3.3V, and PWND is to GND. Are you supplying an XCLK? Is the data pins returning any data? You could start by getting the write working by observing that the data pins live and then write to the sleep register which should make the camera stop responding. Then you know that the writes work properly. What frequency is your SIOC running at? Why did you need a pull-up resistor provided GPIO's already have such resistors (could be configured through PuPd field of init structure)? And I wonder why did you choose namely those values for resistors (30k pull-up, 22ohm serial)? I'm trying to implement my own bit-bang SCCB version too, but can't get response from OV7670. The SCCB specifications at hand are very vague, that's why I have to make sure that what I send could be understood by OV7670. Could you please provide me with timing diagram of voltage on SIOD and SIOC pins during simple transaction (e.g. start, address 0x42, write bite, 9th bit, subaddress, 9th bit, stop)? Is it possible to use subwindowing to get a higher framerate? I want capture a total of a hundred pixels with resolutions ranging from 2x50 to 10x10. I need 1000+ frames per second for my project. I looked into using a optical mouse but they are usual only 15x15 and capturing the indivual pixel data for each frame is very slow compared to a camera. I want to use STM32F4-Discover the OV7670 camera. What I do not run the camera. I'm giving the camera 8Mhz clock signal from XCLK pins. But the camera does not give I2C ACK signal from the line. I send from the device address 0x42. I'm sending the camera device my address wrong. Why do you have such a problem? Im getting this image. What do you think is the problem? Are you using the pclk to save the incoming pixels? If not, try to use the internal clock to save the image. Im using Arduino UNO to read the values of OV7670 registers.. Im using the Wire library..
executed the above write function, and when I read back, it doesnt change. Thank you for your post and replies for above comments. They were really useful for me to sucess with STM32F4 discovery board connecting to OV7660 camera module. OV 7660 is almost same as OV7670 . I included all the details on my blog. Thanks again for your help. Is it sufficient to supply VDD pin of ov7670 module with 3V supply pin of stm32f4discovery? Thank you very much for your post and replies for above comments. I´m trying to interface OV7670 but I have a problem with output data. Camera still returns data on parallel bus Y: <5 Cb: >123 Cr: >123 and data wont change when I remove the cover -> still returns black image. Can anyone help please? Can be the problem, that XCLK runs only at about 2MHz? I'm trying to implement my own bit-bang SCCB version, but can't get response from OV7670. The SCCB specifications at hand are very vague, that's why I have to make sure that what I send could be understood by OV7670. Could you please provide me with timing diagram of voltage on SIOD and SIOC pins during simple transaction (e.g. start, address 0x42, write bite, 9th bit, subaddress, 9th bit, stop)? At least my camera needs a pullup resistor on the SIOD pin, maybe that's your issue? Hi! What is the black strip in the left of the images? I can confirm that the OV7670 blue boards required input on XCLK for the SCCB to respond. No FIFO, with onboard 3.0v and 1.8v regulators. That is with default register values. There may be some value to change that but you would have to communicate with it to change it. Chicken Vs. The Egg. Main tip for SCCB control. Make sure you toggle data way before toggling clock. If you have no scope around, start with 10microseconds between the two. Just send in a loop the ID address. If you dont get an ACK each time, you need to fix your code before bothering to do anything else. Be advised, the blessing of speed from newer micro's can be a curse some times. Upps, meant PIC24EP. I wish Microchip would come out with a 32bit version. Not the borrowed from someone else's 32bit micros they sell, real genuine microchip instruction set based 32bit micro. However, the QVGA lines are shorter than the VGA(this is not outlined in the diagrams). And another thing: is it really true that you can't get a bigger framerate with lower image formats? Is there any way around? Could I try to take a limited number of lines from the camera and then force it to restart the pixel parsing? First of all I would like to say great blog! I learned a lot about pixel formats and the OV7670. Would it be possible for you to send me the windows 7 installer .exe file for this version of qSerialTerm or the most up to date one? I downloaded QT Creator and your source code only to painfully realize I had no idea what I was doing... It would be greatly appreciated! I need help to implement ov7670 with arduino??? i try but fail to write in ov7670 register.What can i do now?plz help. If a pclk of 24 mhz gives you 30 fps what will 48 mhz produce? I should tell Jorge Aparicio that according to ov7670's datasheet,raw RGB(888) is supported. Sorry for my misunderstanding, RGB888 isn't supported. What is output data format in test pattern mode?i tried to change it to RGB565, but the output didn't change,so it seems that test pattern is just in YCbCr4:2:2 mode,is it right? I investigated the YCbCr Output of OV7670 camera, which is erroneously named YUV Format in the specification / daata sheet. so the information given above on YUV / YCbCr Byte order is not correct for this cam OV7670. Both are packed formats, where each macropixel is two pixels encoded as four consecutive bytes. This results in horizontal downsampling of the chroma by a factor of two. In YUY2 format, the data can be treated as an array of unsigned char values, where the first byte contains the first Y sample, the second byte contains the first U (Cb) sample, the third byte contains the second Y sample, and the fourth byte contains the first V (Cr) sample, as shown in the following diagram. If the image is addressed as an array of little-endian WORD values, the first WORD contains the first Y sample in the least significant bits (LSBs) and the first U (Cb) sample in the most significant bits (MSBs). The second WORD contains the second Y sample in the LSBs and the first V (Cr) sample in the MSBs. YUY2 is the preferred 4:2:2 pixel format for Microsoft DirectX Video Acceleration (DirectX VA). It is expected to be an intermediate-term requirement for DirectX VA accelerators supporting 4:2:2 video. This format is the same as the YUY2 format except the byte order is reversed—that is, the chroma and luma bytes are flipped (Figure 4). If the image is addressed as an array of two little-endian WORD values, the first WORD contains U in the LSBs and Y0 in the MSBs, and the second WORD contains V in the LSBs and Y1 in the MSBs. Aat least this byte order in the Format YUY2, ie. YUYV is the default output for the default register settings of the registers TSLB and COM13. Using these registers you can also swap the bytes according to your wishes. See also more and compare for best prices deals for Camera Sale here! contact point.business@yahoo.com for your bank logins and bank transfers, western union transfer,carding of online stores and flight tickets. http://hackerbuddy.com/edges/100 incase of any needed hacks.